A pack of 10 luggage tags which can be incorporated in a variety of ways on your wedding day. Featuring a distinctive design inspired by vintage love letters, these tags are supplied with lengths of elegant ivory ribbon so you can attach them to a variety of objects, from table decorations to chair backs. 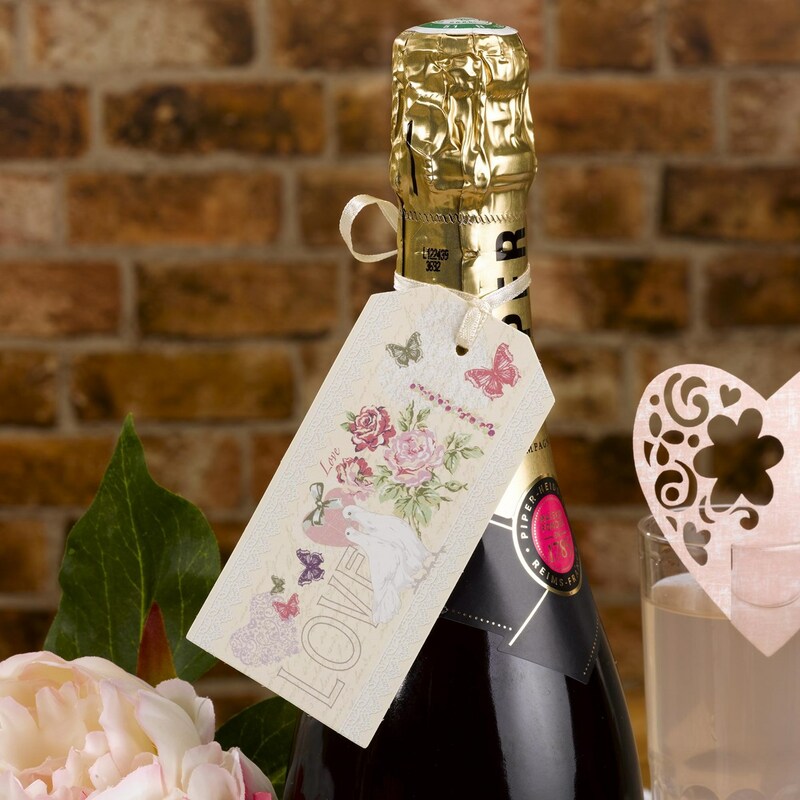 Featuring a blank reverse where you can add your own text or message, these tags are part of the "With Love" collection - the perfect choice for couples looking to create a whimsical, nostalgic ambience on their wedding day.